Nortel M3903 NTMN33GA70 Meridian Digital Phone Charcoal M3900 Series The Nortel M3903 digital phone is a multi-line, digital telephone that supports up to four lines and/or features through the two self-labeling keys at the top of the display. 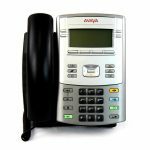 It includes an enhanced call log feature which can display up to 10 of the last incoming calls and up to 5 of the last outgoing. 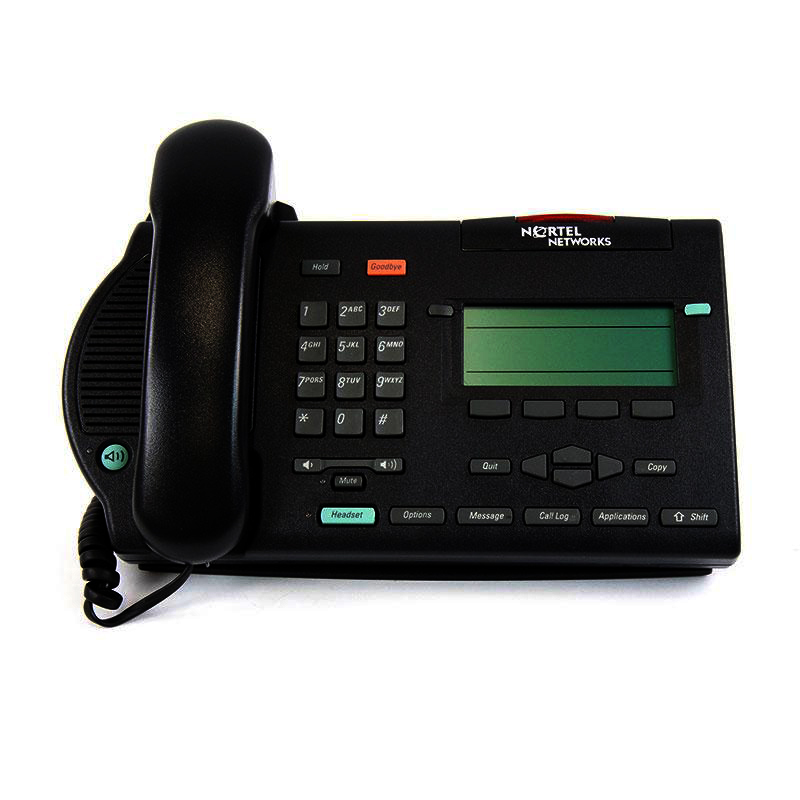 The M3903, which is part of the Nortel M3900 Series, is compatible with the Meridian Option telephone system and ideal for office professionals or technical specialists. 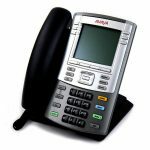 It allows you to choose to list all incoming calls or just the unanswered calls. You can also instantly redial and call on the lists with one simple keystroke. 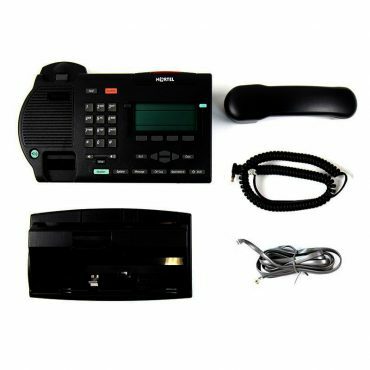 The fixed feature keys also allow you to switch easily from the handset or handsfree to headset use, personalize the phone using the options list, and quickly access your voicemail system. 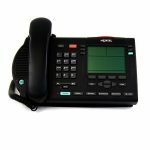 It can be used with the Option 11C Nortel PBX and is compatible with the Nortel Meridian SL-100 and theh Nortel Meridian 1 platforms as well as some non-VoIP exchanges. 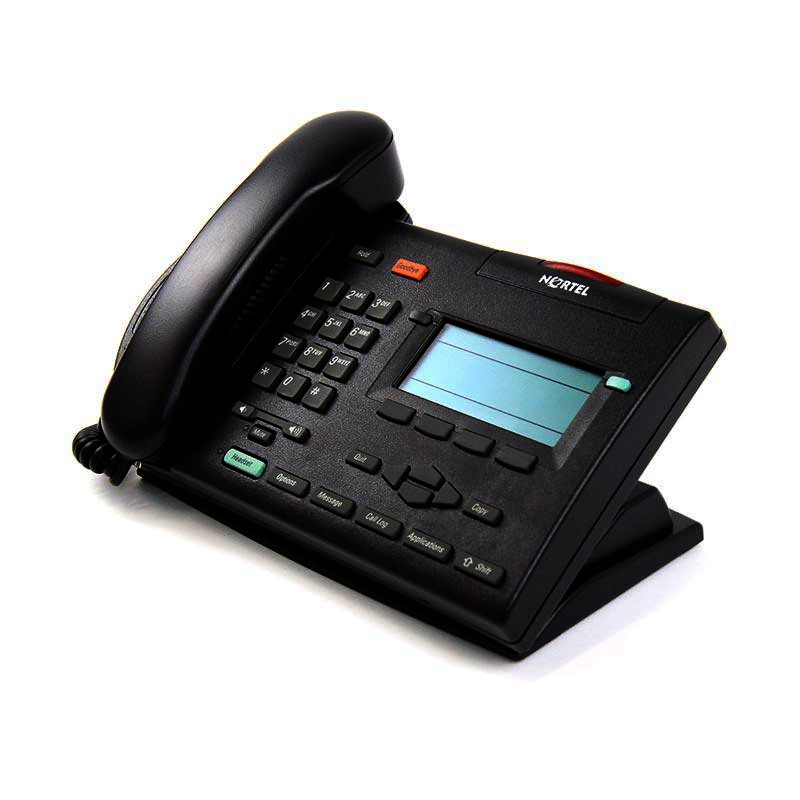 The M3903 meets or exceeds applicable CSA, UL, and EIA specifications. Complies with FCC requirements for hearing aid compatibility. 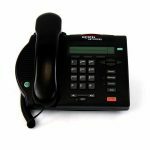 Maximum handset volume control levels are compliant with the Americans with Disabilities Act (ADA). Color: Charcoal or Ash Width: 11.25 in. (286 mm) Depth 1: 7.75 in. (197 mm) Depth 2: 6.75 in. (171 mm) Height 1: 5.13 in. (130 mm) Height 2: 7.00 in. (178 mm) Weight: 2.38 lb (1.08 kg) Call Log: The Call Log feature displays a list of incoming calls to your phone as well as the outgoing calls made from your phone. The M3903 lists the last 10 incoming callers and five outgoing calls made from the phone.You can also instantly redial any call on the list with a simple keystroke. Display-Based Interface: The display-based user interface helps provides access to more features with fewer keys. The navigation cluster guides you through on-screen menus and prompts for customization and personalization. Self-Labeling Keys: The self-labeling keys put an end to paper labels and time-consuming set designations. The display immediately shows the lines and features assigned to each key for convenient access. Self-labeling keys also enable you to personalize their feature key labels. Options List: The M3903 provides customized options that can increase productivity and help you with ease of use. Customize the feature names on the phone, choose from multiple ringing tones, multiple languages to select from, and even the time and date. "Smart" Mute: The "Smart" Mute feature automatically senses whether you're using the handset, headset, or handsfree, and mutes the correct option. You can also listen in on conference calls while you work on other tasks without distracting the conference with background noise.